We reached out to the members of the Ebert Club for their thoughts as we mark a year since Roger's passing. The response was, as you can see, huge and heartfelt and wonderful. Roger meant a great deal more to me than this story. I saw him speak at a book reading for one of his Great Movies books, and I've seldom laughed so much in the course of an hour. He had so many great, great stories, and was able to so vividly describe what events like Oscar night were like behind the scenes. When we spoke he was charming and generous. Reading "Life Itself" was a lively, and profound, experience. All his writing is worth reading and re-reading. But this story touches on the first time I realized what he was really doing. I was aware of Roger and Gene Siskel on public TV, but the first time I realized how important they were to so many others besides myself came in the early 1980's, after they reviewed Errol Morris' second film "Vernon Florida". Roger was a very early supporter of Errol Morris and his first film "Gates of Heaven", and I'm forever grateful to him for this classic documentary. The clip he chose on the show for "Vernon Florida" showed three Vernon wild turkey hunters- the most verbal of them talks to the camera, then suddenly breaks off and listens intently: "Hear that? That's turkey!". His friend's ears prick up, he sniffs the air and he looks in that moment for all the world exactly like a dog. The movie arrived at the York Theater in San Francisco a few weeks later and played to a nearly full house. At the screening I attended, the first appearance of the three turkey hunters on the screen instantly drew a huge laugh, before any of them had said a word. Everyone in the theater had seen Roger's review, and everyone was thoroughly enjoying the movie, before it had even been projected. Thanks to Chaz, and to everyone at the site. I can't believe it's been a year already. I loved reading Roger's work and have since I was a kid. I miss his writing and wisdom, and I still often wonder what he'd think of new movies and everything else going on in the world today. I wrote this piece about Mr. Ebert last year. His writing had a tremendous influence on me. 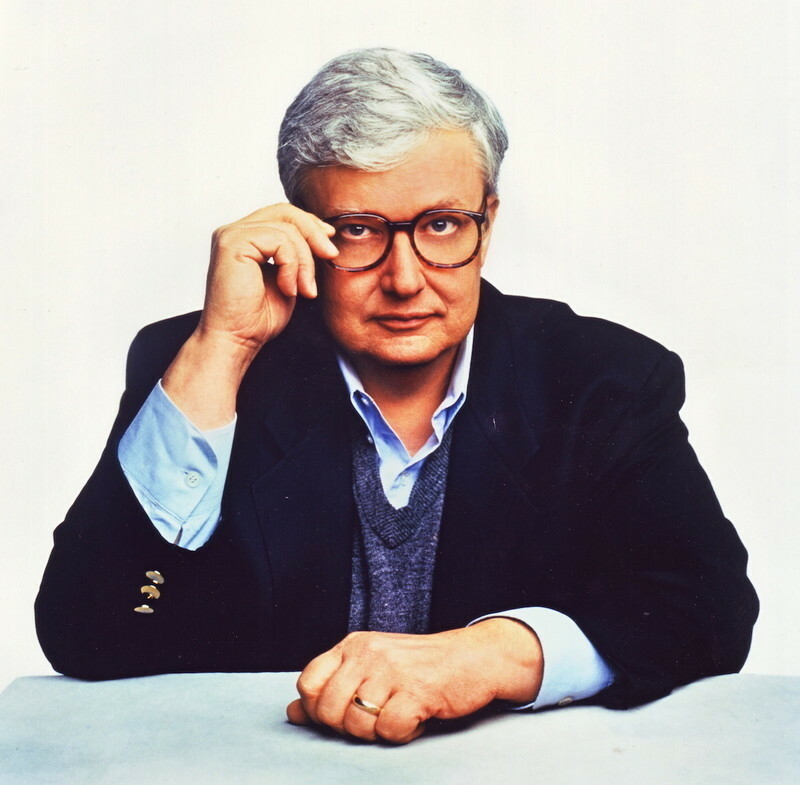 How did Roger Ebert influence my life? From the days when I first really started paying attention to movie reviews, he was the only movie critic I read, apart from local newspaper reviewers. When I decided to start watching classic films on a more regular basis, he illuminated some that I would have missed, or might not have seen until much later. Ozu, Bresson, Dreyer, and Mizoguchi's movies were all introduced to me through Roger Ebert. "Dreams of Literary Grandeur is one heck of a blog. I see you came aboard here last summer but haven't posted in three weeks. If you'd been in the last two threads I'm sure you would have been included." This was the first time he had responded to one of my comments. He then responded to my protestations of humility by posting a link to one of my blog posts. As a writer, I can't tell you what this meant to me. I still can't. A Pulitzer Prize-winning writer just called my writing good? Over the next two years, I got a few retweets, a few shout-outs, and replies to some of my other comments from him. He even started following me on Twitter. 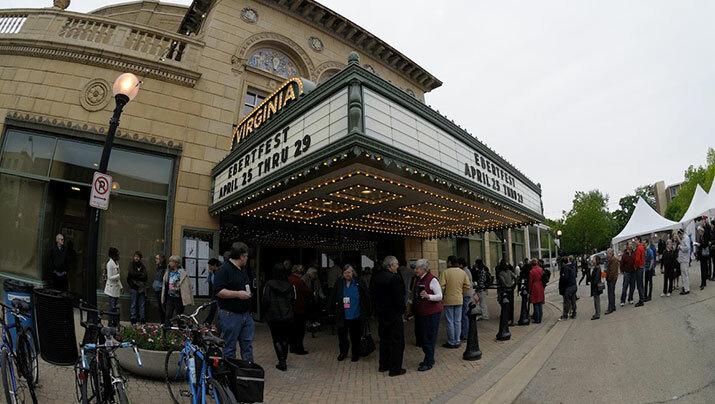 After watching videos from Ebertfest 2010 and reading about the experience in blog posts by the Far-Flung Correspondents, I decided to go to Ebertfest 2011. I bought my pass a few months after being let go from my job. Besides unemployment, the only money I had coming in was from tutoring. And yet, as my father told me, I had to meet Roger Ebert. "This is an investment," he said, "not an expense." And so I went. Not only did I meet Roger Ebert, but I met people who I had connected with through my blog and through Twitter, including the Far-Flung Correspondents and Tom Dark (now also gone). Even now, most of the people I follow on Twitter had some connection to the man. Meeting Roger Ebert and getting to thank him for supporting me is one of the highlights of my life, and yet I wish there had been other meetings. During that first meeting, however, having gotten little sleep for two nights in a row, I babbled (though I did remember to congratulate him on his New Yorker caption contest win). Still, when he retweeted my post on having met him, I was happy to see that he was, in fact, still reading my blog. Sadly, that was the last post of mine that he retweeted, and the last time I had any sort of direct feedback from him. I had a strange premonition the day before he died. I had read his "A Leave of Presence" article where he had mentioned his resurgence of cancer, but as he didn't seem concerned about it, no alarm bells went off in my mind, until I got a call from my landlord to tell me that one of our housemates, whom we hadn't seen in about a month, had died of cancer. That is the first time I felt worried that Ebert might die from his, yet I was still shocked when I saw the news the next day. Appropriately, I found out on Twitter. Somewhere I read that the impact people have on your life can be measured by the size of the hole they leave when they're gone. Despite the valiant efforts of those who continue to write on his website and create the Ebert Club newsletter and keep Ebertfest running, the hole has not been filled. It may never be filled. Sometimes, I go back to his reviews and Great Movie pieces and read them to remember what used to fill that hole, and for a time, I am content. But then I go see a movie, one that he would have loved (or hated), and I wish he had lived long enough to see it, and to write about it. I had always depended on Roger's forthright movie reviews. I never attended a movie without getting his opinion first. If a movie sucked, he said so, and there were times when he, with Siskel, intentionally chose bad, even awful movies to review, for the benefit of the viewers. I would use his site as a media history site to check on movies from another genre. It was analogous to having my own movie database, authored by a professor who had my trust. Roger wrote from the heart, because he loved the movies and he wanted to share the experience, and make it as great as it once was for himself. He was even willing (at first) to be tortured by Gene Siskel. Then they became friends, and even professed love for each other. A lesser dedication could not have endured the prickly part of their early days on Siskel & Ebert at the Movies. Someday I'll get over this. 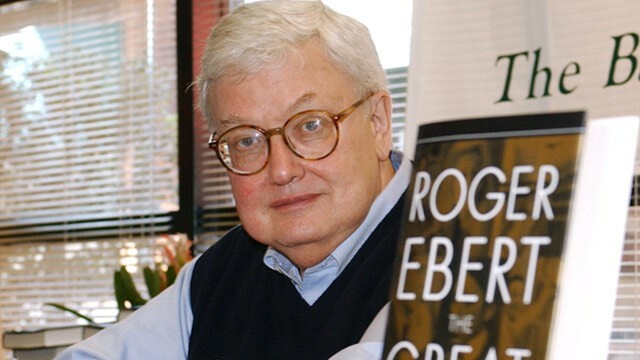 Maybe it will be after I develop my own Roger Ebert Ego State, and I will discuss film with the feeling that, somehow, Roger would be smiling. I had never heard of Roger Ebert until I moved from Europe to Chicago back in 1991. For the next 7 years, I was glued to the screen every Saturday to see Roger in action with his sparring partner Gene. It was a revelation because I wasn't used to this type of reviewing. It was clear to me from day one that Roger was VERY passionate about what he was doing and I loved him all the more for it. I didn't always agree with his opinions but it was always a joy to hear him defend his case. Later on, when I started getting his reviews in my mailbox, I'd read each and every one of them, every week, even for movies that got a thumbs down, movies I would never go see in a million years, because it was SO much fun to read his prose! He would also find something positive to say about the most dismal of efforts, something I could really appreciate because no matter how bad the result, he realized that a lot of work went into making it. I read all of his books and am still going on "his" London Walk, my dogeared copy no longer accurate after so many years, but by now I can walk Roger's walk across the Heath with my eyes closed! He changed the way I look at film and has made me love the medium even more than I thought possible. And now I'm here, a member of the Ebertclub in Belgium. I still miss him a LOT and I always will. Thank you Roger, from the bottom of my heart for bringing so much joy (and guidance) for so many years! Love to all of you, determined to keep his memory alive! Roger and I had a connection most of his film critic career. While we never met, I did read his reviews and watched every At the Movies TV show until the day it ceased. I began reviewing films for a small group of friends, which I continue to do. His love of films enriched my life. All film buffs have lost a friend. 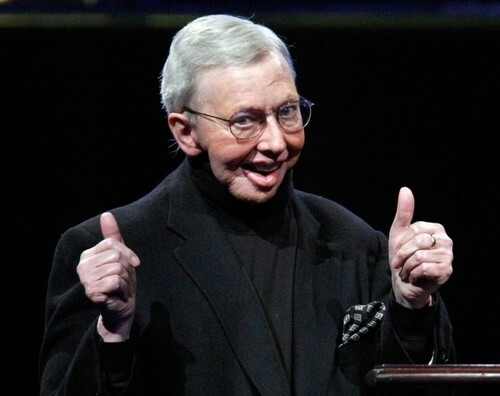 Roger Ebert died this past Thursday, on April 4th. Although he and I never met, I feel as if I know him. Beverly and I began watching his PBS show called Sneak Previews back in the mid 70s. I don't remember the exact year but it was early because I remember Spot the Wonder Dog, who introduced films. We watched the Siskel & Ebert until they left and then watched Jeffrey Lions and Michael Medved who hosted shows after S&E left. After that, we watched Rex Reed and Dixie Whatley when they hosted At the Movies. But there was nothing close to the animated discussions with Siskel and Ebert. Sometimes it was so heated I thought, "Wow! These guys don't like each other." But it was their competitive spirit--turns out they were close friends. After Gene Siskel died in 1999, Roger kept the show going with a series of guest reviewers, finally settling on Richard Roeper. Roger left in 2006 when he got cancer; Roeper left in 2008. I think the show was cancelled shortly after that. Roger and I had a few things in common: we were both born in the same year--1942, 47 days apart; we were both born and raised Roman Catholics and we both loved and wrote about films. The resemblance ends there. Roger was a gifted writer and TV personality. He was larger than life. I loved his reviews because I could understand them. Roger met few films he didn't like. He always found some reason to see most films. The New York Times called him A Critic for the Common Man. Siskel & Ebert became famous, not only for their reviews and TV shows but for their simple Thumbs Up or Thumbs Down. They both hated having films reviewed this simply but it worked, so they kept doing it. I'm pretty sure Roger, who said he came up with the idea, also trade-marked it. Check out his three books, Great Movies, which are a series of short essays on his favorite films. Amazon has the Table of Contents for each. If nothing else, it will give you a long list of films to watch. He also has a memoir, Life Itself, that I look forward to reading. Roger! I'm sure you are in heaven, talking film with Gene Siskel, Gene Shalit and Joel Siegel. What I wouldn't give to sit in on those conversations. So, Roger, two big thumbs up for your life and your reviews. The balcony is now closed, forever. Say hi, to Gene for me. You guys enriched my life. One day in September 2003 I sent Roger an email. The "seems like an old friend" part was not an exaggeration; he was truly a part of our lives, more a part of our family than he'd ever know. He was, and is still, an inspiration for so many reasons. I stared at the picture of you and Gene on page 8 of the Sunday NY Times for quite awhile. 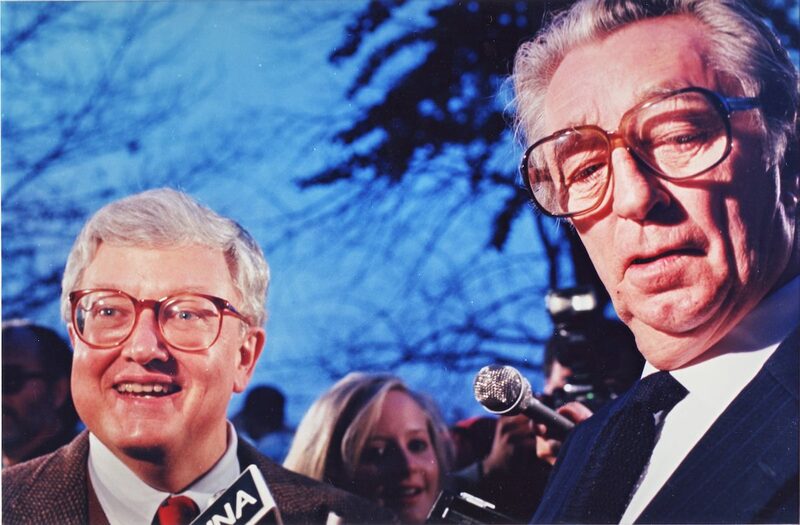 Two people I loved, talking intelligently (rare!) on their subject with not only admiration for each other, but with a winking humor even in dispute. Did I say intelligently? Hard to find that these days. I once spent a week at Koele Lodge (10 years ago) and noticed that the guest speaker NEXT WEEK was you! Damn. Missed you again. I would have loved very much to meet you in that wonderful place, away from everything that makes up normal life. It's funny how someone I never met seems like an old friend. Perhaps I'll get that chance to meet you yet, and say hello and thanks. I hope this email reaches you. I never did get that chance to meet Roger, yet he is still here with us. I hope Chaz realizes I am just one of so so many that can say that. The question would be: How did he NOT influence my life? 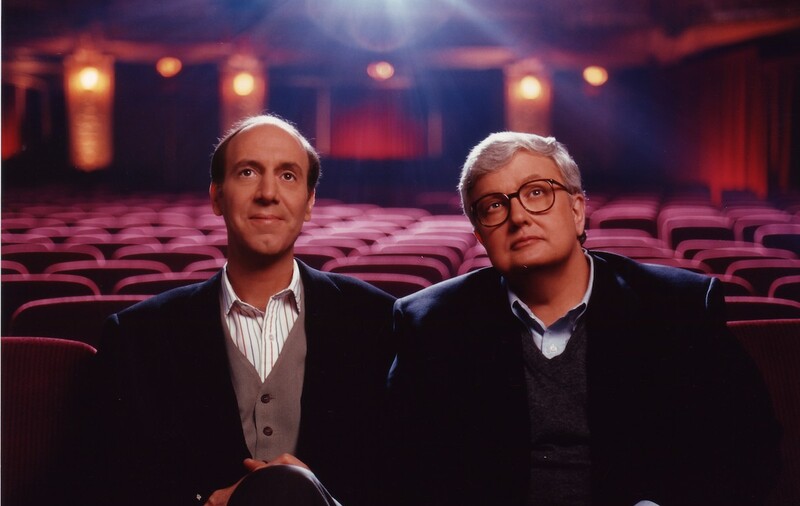 Roger and Gene Siskel allowed me to listen in on discussions each week that took the movies seriously. For a budding movie geek, this was pure heaven. This made me appreciate movies in a way I never could have otherwise. As a writer, he was without peer. I felt as if he was talking to me directly, in his reviews AND in his interviews. He was telling me, as a friend, about his experiences in the presence of John Wayne, Robert Mitchum, Lee Marvin, Groucho Marx, etc. I jumped at an opportunity to meet him in person, back in early 2002, on the Disney Cruise Film Festival at Sea. Roger almost didn't make the trip, due to surgery; this was the first I had heard about his illness. I was so grateful that he made it. Ebertfest allowed me the opportunity to watch many movies with him, and even to join him at Steak n Shake, which provided me sustenance during my movie binges in St. Louis, MO. See a movie; go to Steak n Shake; see 1 or even 2 more movies. This was my daily regimen during spring breaks and as many days during the summer as I could fit in. I simply cannot imaging my life having never read his books nor seen his TV reviews. I miss Roger very, very much, and I think of him every time I watch a movie, particularly when I watch it for the first time, since I can only do it once. Which is exactly how often someone like Roger comes along in life. A heartfelt thank you to Chaz for everything. I met him at Sundance many years ago long before he got sick and he was pleasant and kind. I told him that I was a fan and also from Chicago and that he made me love movies more. He smiled! A blog entry about Roger from April 7, 2013. Roger Ebert was my favorite movie critic of all time. I am approaching my 72nd birthday now but I have had a passion for movies since I can remember from the age of 8. My parents took me to a Bogie double feature when I was 10 years old when I saw "Treasure of the Sierra Madre" and "Key Largo", and while I was too young to fully understand everything, I knew enough to be "hooked" on movies. I used to buy movie magazines all the time. I read many critics' reviews on movies but Roger wrote in such a style that I was able to understand what the movie was about whether I agreed with him or not. He showed me the difference between watching a movie and seeing a movie. I truly miss his reviews as he surely is missing future outstanding movies that he would have been proud of. Thank you for allowing me to express my thanks.